This post brought to you by the Dollar Tree Value Seekers Club. Do you struggle to keep your smaller humans motivated to finish schoolwork? Whether you're a school teacher, a homeschooling parent or a mom who needs to motivate her kids to hit behavioral milestones, I have a great project for you! 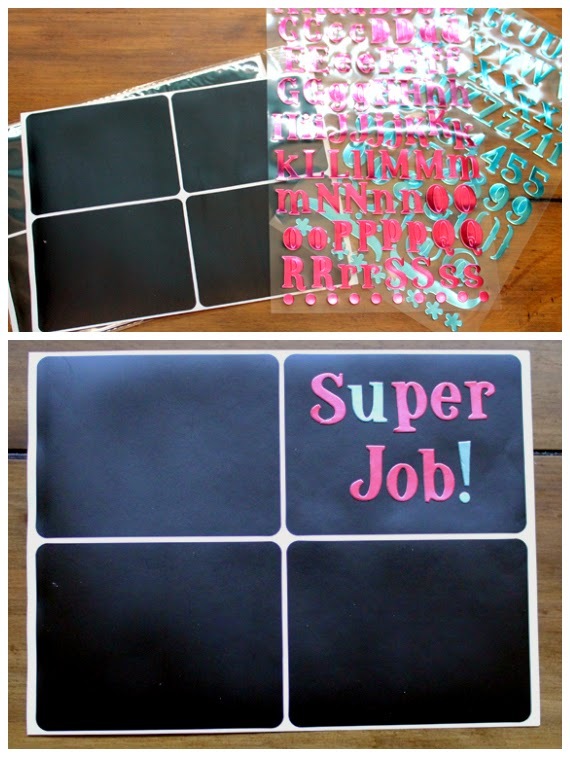 Create a "Motivation Station" in a corner of your home or classroom to reward kids for hitting learning or behavior targets. I found this project on the Dollar Tree Value Seekers Club website - they have so many great ideas this month for fun back to school projects so definitely check them out. They share new projects, recipes, and tips each month – plus membership is free! 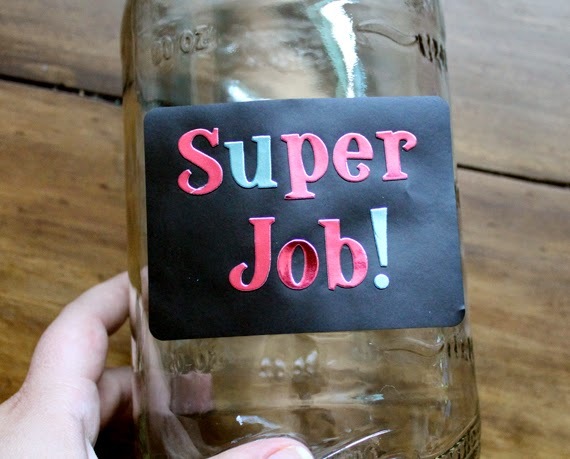 Stick your label on your jar. Easy. 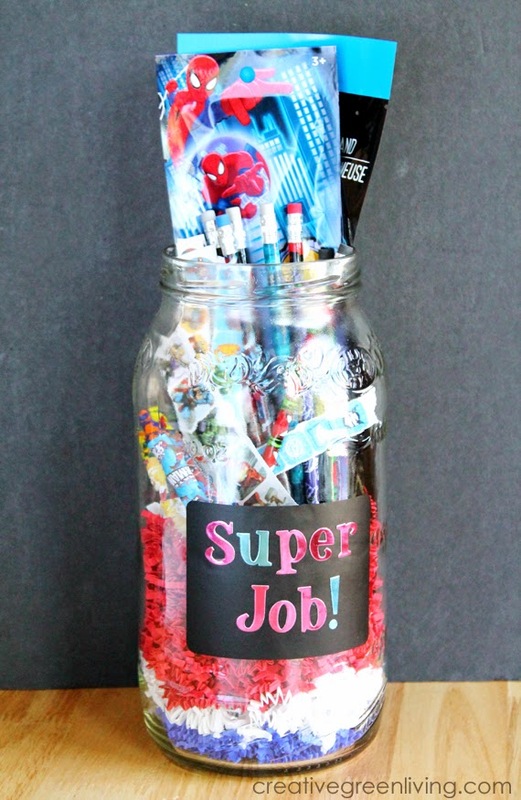 Fill your jar with treats that your target audience will love. In my case, my four year old, superhero obsessed son gets to pick from a variety of great Dollar Tree swag like Captain America and Spiderman pencils, glow sticks, stickers and crayons. 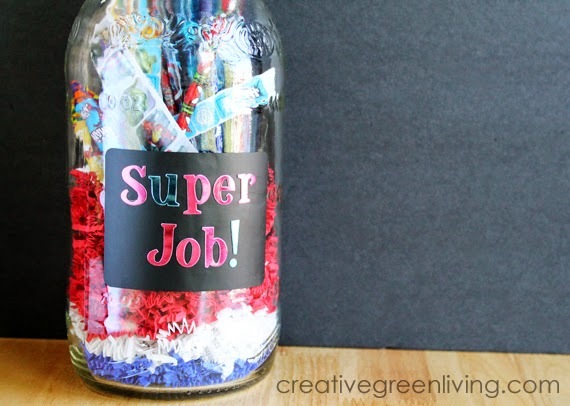 To help boost up the smaller items, I placed the tall items in the jar first and then added the crinkle paper in red, white and blue before adding smaller items like crayons and pencils. If you have a classroom of kids to please, build an even bigger station! Use multiple jars (or glass containers from Dollar Tree) to assemble a collection of things any kid in your class is sure to love. Of course, all kinds of inexpensive rewards from pencils to hair ties, glow sticks and stickers can be found at your local Dollar Tree! I'm so pleased to be giving a $50 Dollar Tree Gift Card away to one Creative Green Living reader! 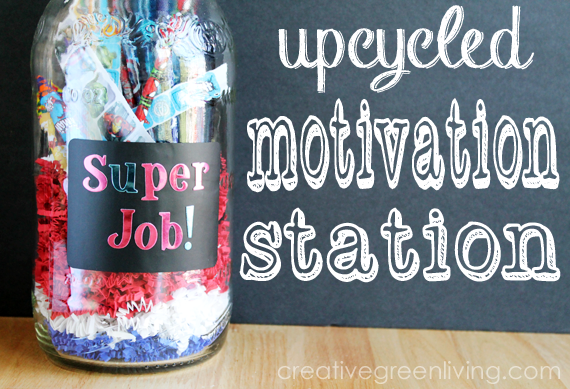 Use it to make the sweetest motivation station ever or for any number of fun projects! Use the Rafflecopter widget below to enter. Thanks for the giveaway opportunity. I do purchase things at Dollar Tree for adults to use, but I shy away from all their Made in China items for my pre-school granddaughter. I just am a little worried about what might be in the paints and plastics that could be harmful to a not-quite-4 yr old. Still there are plenty of other items that are useful in our household. What a cute idea! Love the chalkboard label! Cute idea! We're always looking for ways to motivate our boys! Hooray!! Thanks so much! I have emailed you with my info.